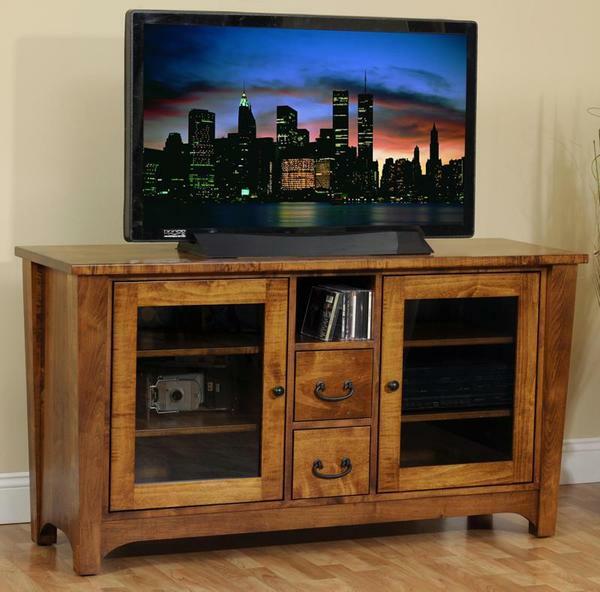 Just the right amount of solid wood finesse for your living room, the Amish Urban Shaker Flat Screen TV Stand is Amish made with quality wood. There are two spacious cabinets with shelving and a center column with one top shelf and two lower drawers for storing items. Amish Furniture Specialists can answer any of your questions. Please email or call us today. Thank you for shopping DutchCrafters. Clean, simple lines. Sturdy and excellent quality. Thought you might want to see some photos of our new furniture in place. We really like everything!